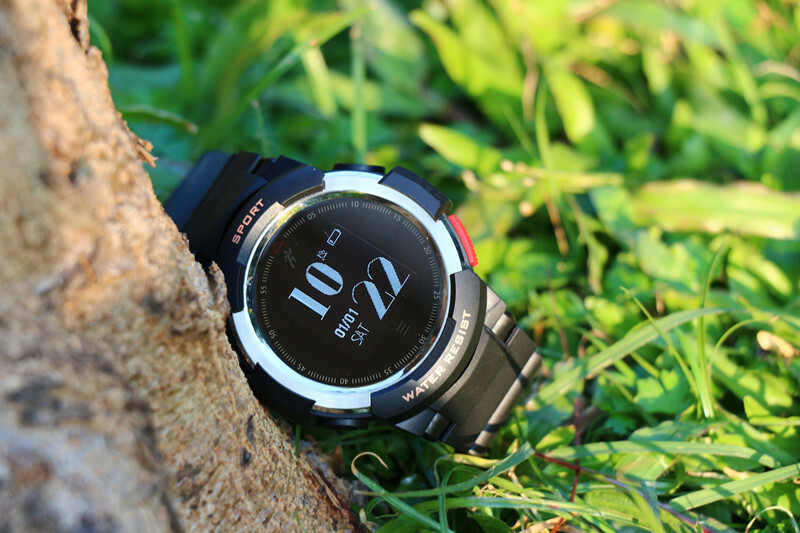 Get NO.1 D7 Smartwatch Coupon Code – NO.1 Smartwatch, start your smart life. i can ‘t add watch face to no.1 d7w . Hello Eric, check the wireless update, there will be a new firmware available. i’d ask my D7 and I don’t know where you can find slozku Clockskin and me I no what am I supposed to do? hi Jon. Thanks for the answer. I do as you say but i get an error from sp flash tool. How to set blue tooth calling on D7 using Samsung J7? D7 and all of the Android watches do not support this feature. – can support android wear? Hi Manuel, no, D7 doesn’t support Android wear, but Google Play store. How to receive email notifications, you need to download the Funfit app, connect D7 to your phone, after pair up successfully, the watch will notify you everything. D7 supports WhatsApp, you can sign in in your watch. 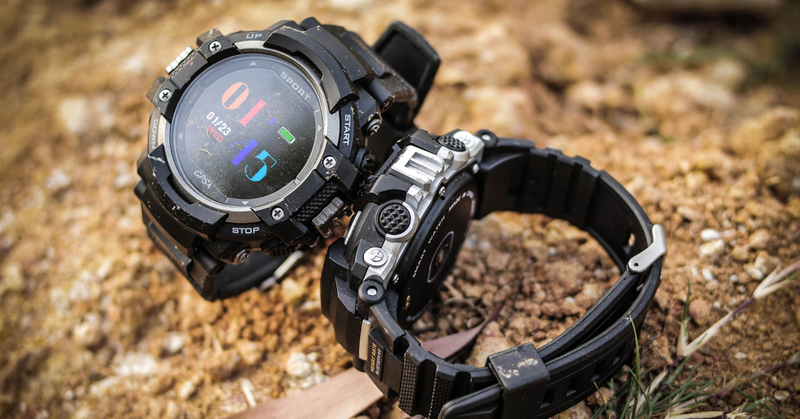 Bạn cho biết D7 dùng được watchface dung lượng bao nhiêu? D7 has 1G RAM and 8G ROM, you can install many many watch face on it. Make sure the path likes this. clockskin/watchface/files No double watch face folder. I purchased No.1 D7, it worked very nicely on the first day but from the next day the charging is draining really fast. I raised a complaint with the online shopping site they have asked me not to use the watch so i stopped using it for few days. As i see a lot of negative reviews about this on google and youtube i tried to swtich it on it went on to a continuous loop of restart and this happened for a couple of days. But today when i tried to charge it the watch did switch on but while charging the watch the battery is getting heated up as well and also the HRM Sensor is glowing continuously, the green light is glowing continuosly even if the charger is not connected and the watch is getting heated like anything. After the watch switched on i see that the Touch is not at all working. Could you please help me on this. One more thing i see on the box as well as the watch it is mentioned as 512 MB RAM + 4 GB ROM. But the No.1 Website and the Shopping site show something else(1GB RAM + 8GB ROM). Could you please sort it out. About the parameter on the box that is printing error, the watch is 1G RAM + 8G ROM. About the watch issue, it is a hardware issue(FPC), there are two method to fix it. 2, share the link http://www.chinawatchs.com/free-no-1-d7-smartwatch-fpc/ , follow the rules to get a free FPC, and fix it by yourself. Sorry for bad experience, hope this helps. Hi Venkata, I’m not sure the apre refers to what. sorry. What if i am not a winner of the contest. Please let me know the alternative. please let me know on this i have already shared this on my facebook page. please find the link below. Please help me in getting the spare. Spare straps or something please leave the comment in the right page, thanks. Olá, meu nome é Marcos (Brasil). Comprei um D7 pelo Geekbuying. Quando recebi o D7 e liguei , logo no logo de inicialização e depois no uso normal a tela fica piscando e com falhas de reprodução , principalmente em telas com movimento. Resolvi carregar o D7 ate 100% e mesmo assim o problema continuava. Depois baixei o ultimo firmware e instalou bem , porém nada resolveu. Desliguei e liguei por várias vezes o D7 e o problema continua. Procurei pela internet se existiam ocorrências iguais mas não encontrei nada a respeito. Vejo que não tem o que ser feito , é um problema de fabricação, onde a única solução é substituir o meu smartwatch por outro. O que vocês tem a dizer ? Poderia me enviar outro smartwatch ou um cupom para uma nova aquisição? Eu já tive um Finow Q1 , quebrou e por isso comprei agora o D7. Estou bem chateado com o problema pois o pouco contato que tive com ele, gostei muito do smartwatch D7. Estou postando o video com o problema para vosso conhecimento e providencia. Aguardo vosso retorno a respeito. ali express is showing only watch and a user manual in this package…do you tell me that it contains charger and charging dock also or not? and if not then why? and from where do i get the same? Hi Muhammad, there is usb cable in the package, not the charging dock. can we use this usb cable attached in any mobile usb traveller charger? Yes, you can use the power bank to charge the D7. The green led is blinking when I am charging the smartwatch. If I unplug from the charger, the led goes of.. Is normal? What is the purpose of the hole at the opposite side of the on-off button? Is for reset? Hi J.Ant, this is a hardware issue. Please contact the seller for a replacement. And about the hole is the speaker. This watch has a wake-up function. This watch has a wake-up function? he recibido el ds7 de banggod pero solo funciono un dia la pantalla tactil y dejo de funcionar ,no tengo forma de acceder al reloj,ademas la luz verde de debajo se que da encendida o parpadeando. he mandado verios correos a banggod pidiendo cambio,reeemplazo o devolucion y aun sigo esperando respuesta de ellos,que solucion tengo o que puedo hacer,tirarlo sin mas? This is the hardware issue, you just need to contact the seller for a refund or replacement. I buyed a NO.1 D7, but on the box label say 4GB rom + 512 MB RAM… Isn´t true the info in your web it have 8GB + 1GB? I’m sure it is because of the painting error and the firmware April 21, this version also not the latest version. Please check the wireless update. Wireless update say there isn´t any update available… I manually update to 20170526 (you must update the update manual, software provided is different from the used in the manual) but there are a lot of things still don´t work. 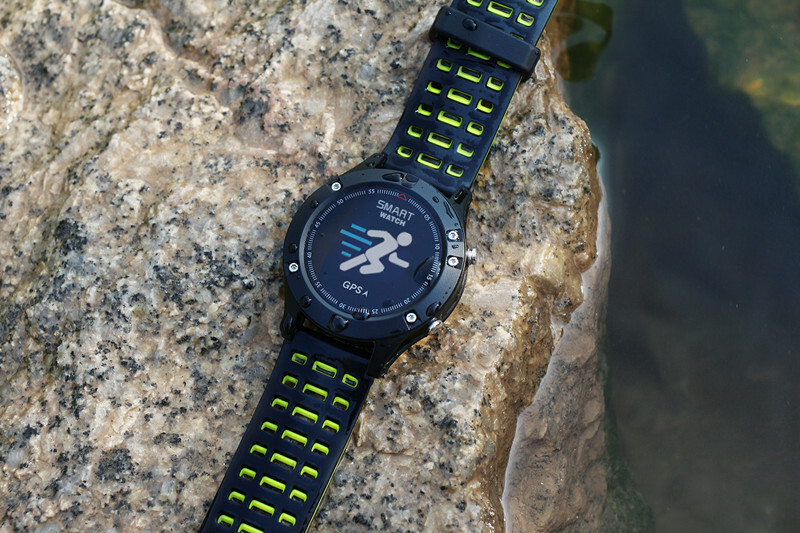 Weather isn´t my location weather, funfit sport reconding tracking isn´t working,… Are you working to fix it? Hi Paul, did you upgrade to the latest firmware? Most of these issue, we’ve solved it. Also there will be a new firmware on June 7. Please check the wireless update. Hello I’m using D7 and I’ve some question~. When I tried to use NFC apps, i got the notice “This device is not supported NFC” and I cannot find NFC function in Setting. Is there any method to use NFC mode??? Hi Dimos, thanks for your attention. The D7w is not ready for the market, maybe next month. The price will be cheaper than D7. (a bit) And about the firmware, yes, we’ll solve the problem before the D7w release. Keep an eye out on NO.1’s news. I have recently purchased an No.1 D7. After the first charge, the touchscreen is not working well. It seems as the touchscreen is not well calibrated. What can I do? Sorry for the inconvenience, we’re gonna release a new firmware, please wait a few days and check the wireless update. You can also reflash the firmware for temporary solution. Thanks. How can I reflash the firmware. I have reflashed the firmware, but still touchscreen is not working well and green led at bottom is allways on. Hi Juan, we’re going to release a new firmware, but the green light is the hardware issue, please contact the seller for a replacement. Hello, I have the clock connected to the mobile through the bluetooth and synchronized with the funfit application, I do not have simcard. The calls I receive on the cell phone are not being notified on the clock, if they are notified on the sms mails and whatsapp but not the calls, why? Hi, for the notification of incoming calls, yeah we also found this issue and we are working on this,we’ll solve it soon. And for the sms and whatsapp notifications, you can not only receive the notifications but also read them. Hello, I have found more errors, in the app weather if it locates my city but in the widget of the weather that there is to the right of the sphere of the clock always leaves shenzhen, my city does not leave. Also I always change the time zone to +1, in settings, date and time, use time provided by the network or deactivating this option, I set my time zone well and after time I changed it to +1, I am not Giving the correct time, I can not manually set the time. Please correct these things in the next update, when is going to leave ?, I can not trust nor the time that the clock is giving me. Hi Juan G, thanks for your feedback. We noticed this issue before and we will solve this in the upcoming OTA update. Yeah, the next OTA update will release in a few days, so please be patient. Sorry for the inconvenience. Hi, I have updated to the latest version. The time zone is still changing to +1, you have not solved this. If I set the date and time automatically, if I set the hour manually, it is changed to +1, I set my time zone +2 and it is always changed to +1. The main thing about a watch is that of the correct time. You have fixed the notifications in the clock of the calls through bluetooth, but the text of the notification is “phone”, does not leave the number of who calls you nor the name, the logical thing is to be able to know who calls you to get the Pocket cell phone or not. Now when I put my mobile to charge the clock it notifies “Iu system” all the time, continuously, I have to turn off the bluetooth so that it stops notifying this warning, it is despairing. 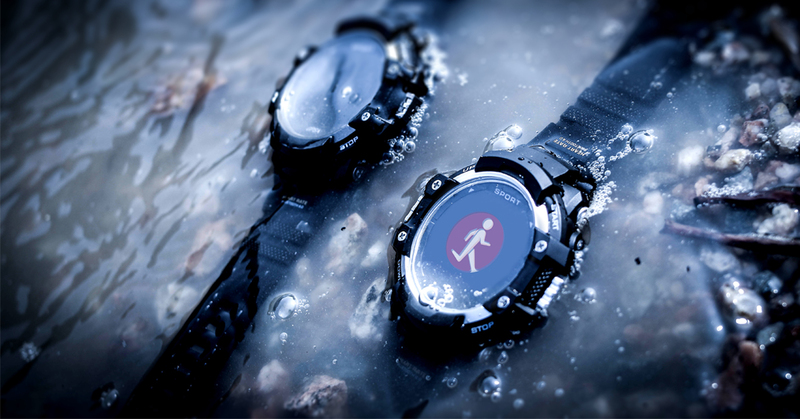 Hello, is the watch waterproof? How deep? 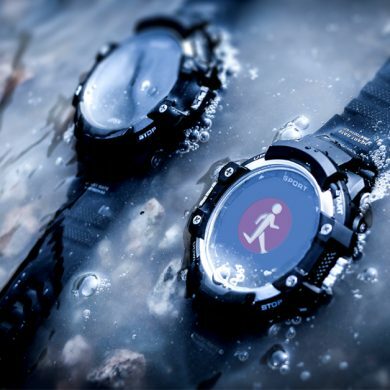 Hi man, nope, this watch is not water resistance, but life waterproof. How to add watch faces to no.1 d7? Hi Spec, if you are familiar with Android watches(not wear). You’ll know how to install new watchface. Simply you just need to download the watchface in watchfaceup.com, extract the file. Connect D7 to PC, create a folder named ClockSkin, put the watchface file to this folder, disconnect your watch, long press on the watchface, search it on the preview images, click it. Done! I have D7, but I can’t install application FunFit to my smartphone or my tablet. When I going to google play I read: your device is not compatible on this version. Hey man, sorry for the inconvenience. I’ll upload a Funfit apk, it’ll be available at D7 firmware section on this blog. We’ll also find out what’s going wrong. Thanks for help. I solved and now its connect correctly to smartfon. But I have new problem. My d7 is hot and drain battery really really fast. I don’t now why. Smartwatch shut down max 2 hours. Wifi, bluetooth and gps off. Screen run meaby 5 minutes. Sim card is in slot. Next problem is the weather. I can’t upload data from my country. Positioning failed. Please try again later. Hi Arkadiusz, the battery life will not that short, but this happens in some new products. You can reflash the firmware or wait for NO.1 releases a new firmware. Also, about the weather problem, in China, we can get a update and fix easily, but please wait for our new firmware release, we’ll solve these issue and release a new firmware. Sorry for the inconvenience. Hallo, wenn D7 will be send to customers? Is it allredy on the market? And I also need coupon. Hi Alex, D7 is already on the market, and please subscribe this blog, you will get the coupon code after the subscription. I did not understand how to use the discount link. Please send instructions. Hi Alex, I just sent you the tutorial. Thanks for your subscription. I’ll send it to you. First: What about bluetooth headphones if I need listening music from this smartwatch? Its supported? 2. Bluetooth headset working on this model? 3. It’s endomondo working on d7? Hi Arkadius, D7 supports headset, you can use it to listen to music. But endomondo this app, I’m not sure, because of the tiny screen of smartwatch, many app won’t be compatible with all these watches. Hi, this smartwath is amazing but to sell it more you have to implement the ability to call via bluetooth using your cellphone !!!. In this way you do not need to buy another phone subscription and you can answer calls with your smartphone by keeping it in your pocket. Many simple and eco-friendly smartwatches have this feature and I do not understand why this model can not do what cheap smartwatches do. Hi Alessandro, I’m assuming you are not familiar with smartwatch. For the hardware difference, Android watches do not support Bluetooth calling while MTK2502 watches support. But Android watches support Google Play,it is just like a smartphone, you can install apps in it while mtk 2502 doesn’t support. And yes, you are right, maybe we should add one description to all Android models, this watch does not support Bluetooth calling. I’ve subscribed for than a week now but yet to get the coupon code. Please help me out. I just sent it to you. Thanks for your subscription. How can i use the code? Go to the Aliexperss store, contact the seller, show your coupon code, and he’ll change the price for you. Please send me a coupon code on my e-mail, i didnt receive it. Thanks for your subscription, I’ve sent you the coupon code. Admin, why I cant installed only 1 watch faces which is about 240KB in No 1 S9. I get an error “Not enough memory to install app”. whats the total memory we get in watch…Hope I get an answer. Please leave your comment in the right section. And why your watch face is 240kb(Incredible big)? 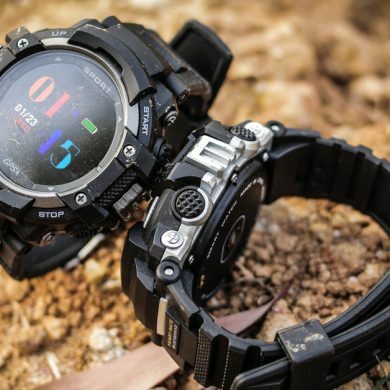 Why not go to this site for some better watchface. http://www.watchfaceup.com/ About the memory of S9, it is very small but I can install five or more watch face in it. Hello Admin, I am installing the faces from watchfaceup.com site only. In this site you can check RED DIGITAL watch face which is about 288 kb. Cant install that one even if no other watchfaces installed in my watch. I love that watchface. Do you have any solution then please let me know. Even I have checked the same with No 1 team about total available memory. But I am yet to get proper reply. Hi Prash, which model are you talking about? Digitalred? this one? 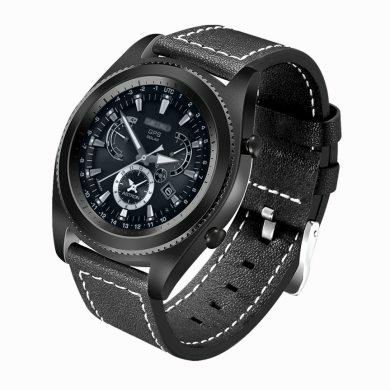 http://www.watchfaceup.com/download.php?id=67&format=vxp For mtk 2502 watch 288kb is too big. And I don’t think the red circle will work as a rotating second(just a bit animation). 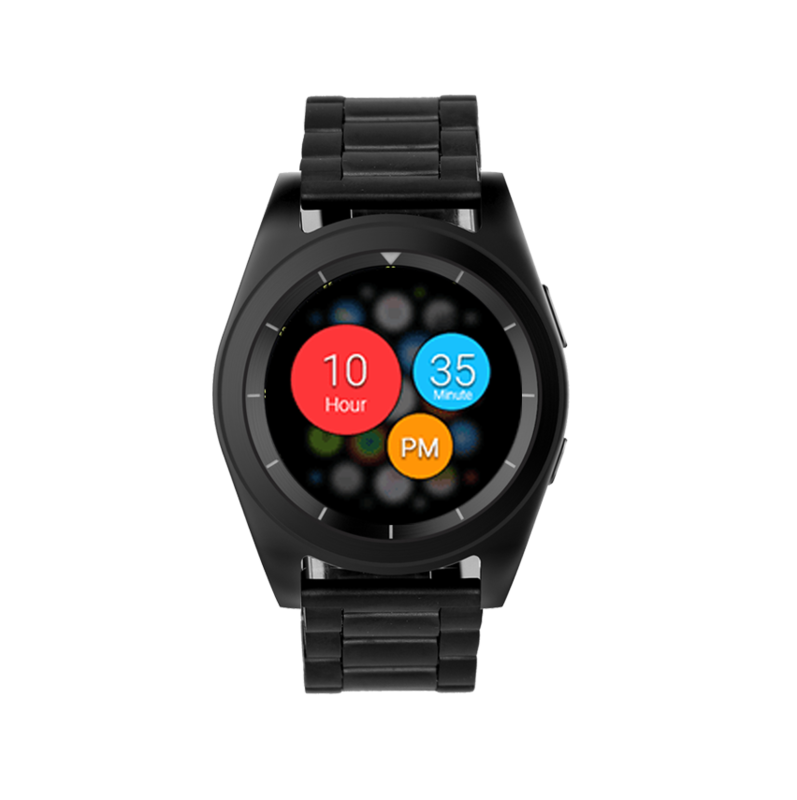 If you like this watch face, go to NO.1 smartwatch Google+ community. Jon will make a simple one there. Please reply soon if you need it. Hello Admin, thanks for your kind information. I would like to try it if Joe can compressed a little bit. You can buy it on the Aliexpress online store. (Link is on the post) And about the straps, nope, D7 uses a leather strap. is there a plan to release one with metal strap? And yes, Android watch with metal strap. Please subscribe this blog for further info. So, we’re almost there. All you have to do now is remove the GPS, the SIM (I haven’t seen anybody making call from the wrist) and the heart rate fitness whatever stuff. Make tethering rock solid, no battery eating playstore, Google stuff or bloatwares and we are there. I’m using NO1 D5 for long time. I’m using it 99.9% for being alerted to a message and have a brief information. That way I can make a quick decision on taking out my phone or not to deal with it. You manufacturers should realize you’re making watches. On one side, there is the fitness market and on another side there is people like us, using it as a watch with valuable, extra information. But no matter how “smart” they are, they can’t even show the time in another city (worldtime functionality) or last for more than 1 day. That will be my day. Hi Anthony, thanks for your advice. 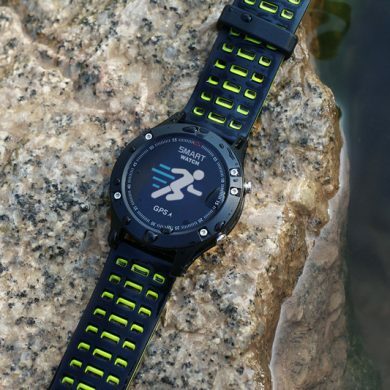 Make tethering rock solid, the problem is that Bluetooth connectivity is all the smartwatch flaw/shortcoming. 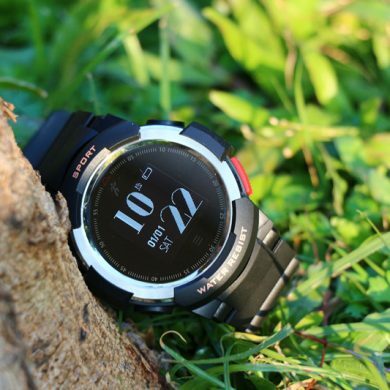 The Bluetooth connectivity of NO.1 Smartwatch, I can’t say it is rock-solid, but you can use it for normal usage(the range is about 10 meters). Also battery life is another flaw which decreases the smartwatch market. And the last one, do you mean the do not disturb mode with a custom period, right? Currently, these watches do not support this, cause’ you can manually set it mute. And about the other features, you can check this NO.1 annual product plan, there you’ll find these features are now supported. http://www.chinawatchs.com/no-1-smartwatch-annual-product-plan/ Thanks for your suggestion. I agree with Anthony 100%. there will never be a coupon code. I tried it with 2 email addresses. ALIexpress support told me that this is a fake ! Hi Bernd, the coupon code was expired, but we just contacted the Aliexpress seller and now the coupon code will work again, you can use it in this online store. Sent already, please check your email. is it available in Abu dhabi, United arab emirates. Hi Admin. Thank you for your professional comments on your Blog. Happy to subscribe! It is nice to see quick and accurate answers. Looking forward to learning more from your activity. Hi SW Ticks. Thanks for your subscription. We’ll do our best to help you all. Check your inbox, I’ve send you the coupon code. If you do subscribe you will get the coupon after you filling out an email. Hi Igor, I’ve sent a email to you. I’m not sure I can trust No.1 since they have been intentionally hiding the screen resolution specifications here and on their site. Completely ignoring several direct questions on here and their YouTube comments. Why should any of us trust a company trying to hide such an important specification. So here’s your chance to shine and finally answer the question. What is the screen resolution of the D7? Is it 400×400? 360×360? Or something else? Until that is answered I will not be buying this. But we didn’t try to hide something, if you really follow NO.1 Channel/Facebook/Google+. You can find that the question is answered several times.The screen resolution of D7 is 240*240. Sorry if I forgot to answer your previous comment. Free Shipping to India via AliExpress Standard Shipping is showing 18 to 28 days. Is there any other option for fast delivery. Ummm, you can ask the seller, but I don’t think they can provide a faster delivery. 18 TO 28 days shipping is usual. No, it is also NO.1’s distributor, he doesn’t know the final price, so the price is very low. Thanks for your feedback. This smartwatch don´t have G- sensor? Similar but not the same. We’ll also hold a presale promotion for D8, please subscribe this blog, once we’ve any good news we’ll inform you. Thanks. I’ll send you another email and I won’t forget you Frank and Kathan. Will you sell also the version with black strap and silver face? The silver D7 has a brown strap. Hi Frank, when did you subscribe this blog? Yesterday we’ve sent the email to all subscribers. Hi Kathan, we’ve sent the email to you yesterday.Check your inbox. Why have you used a lower screen resolution comparing to D5? I’m afraid display won’t be that nice. The display of D7 is not that bad, you can see from the videos or pics. Will the straps be exchangeable? Hi José, nope, D7 doesn’t support removable straps. But we are going to release a Android watch D8 with silicone straps. 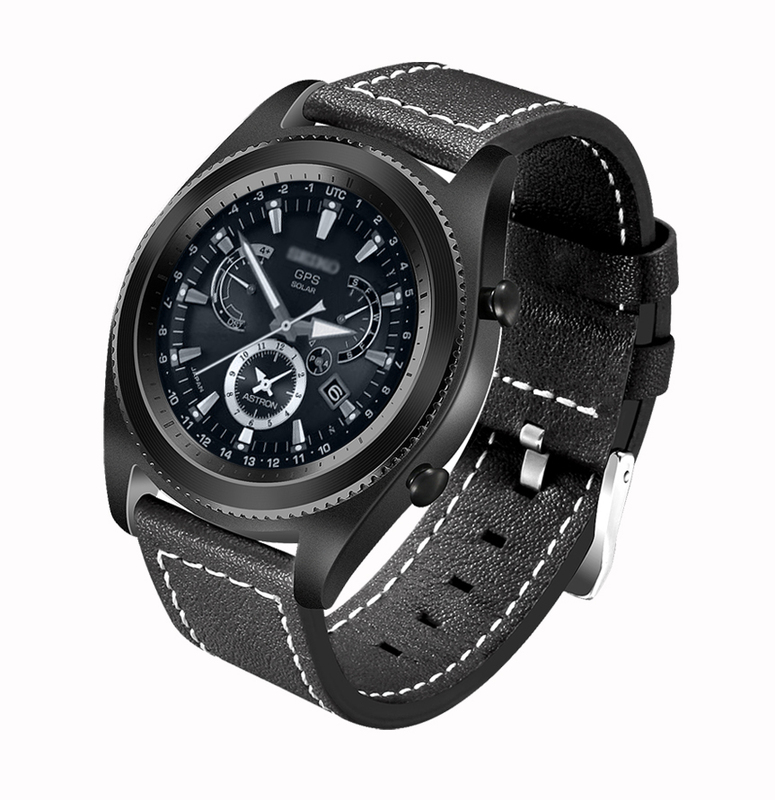 We’re now working on an Android watches which supports removable straps, please subscribe to our blog, once we’ve any progress, we’ll inform you immediately. It mean d1 will come out with a new design that can change strap call d9??? Is it remain the same price in the future? I don’t know what do you mean D1 and D9. D7 and D8? Nope they are different products, for more details, you can subscribe this blog. Thanks. Hi, thanks for your subscription. We’ll send the coupon code to your email at 4.10. Thanks for your subscription. We’ll send the coupon to you all tomorrow. D7 is now on presale, subscribe NO.1 blog to get more discount.